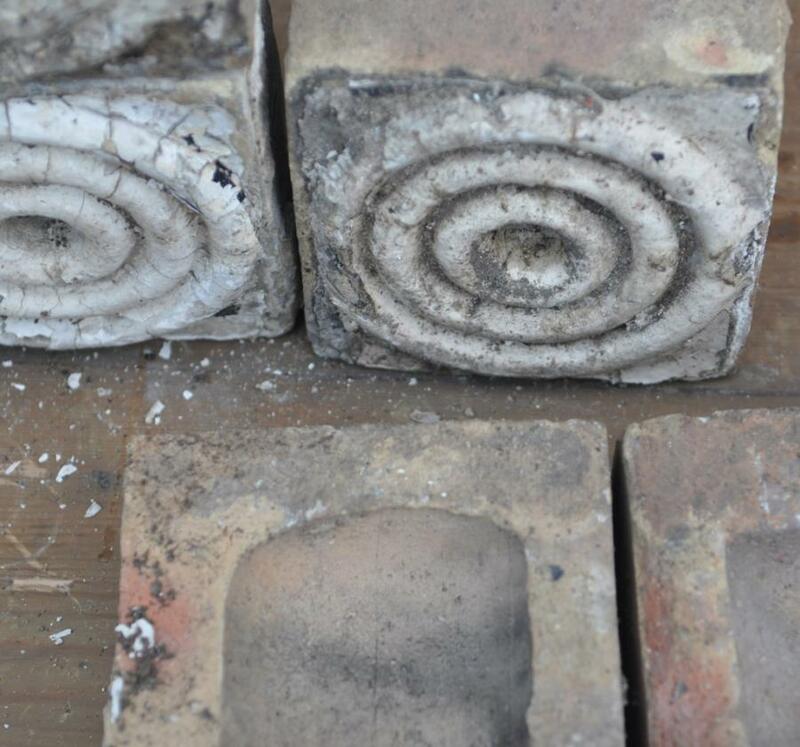 A set of 14 19th century antique decorative terracotta bricks. 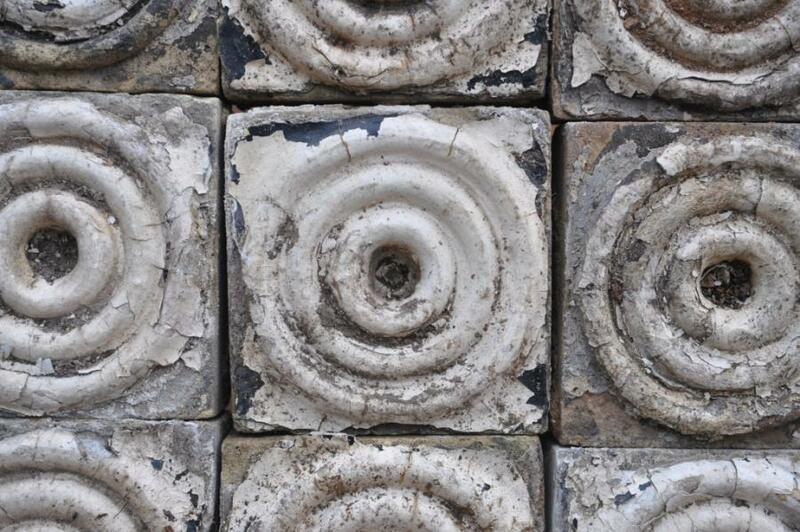 Concentric Circles.With flaking paint, buff coloured beneath. Could work well with Buff Diamonds. Sold in any quantity.Can work well in walls as singles,in rows or as a panel maybe mixed with other types, or as frames or borders. 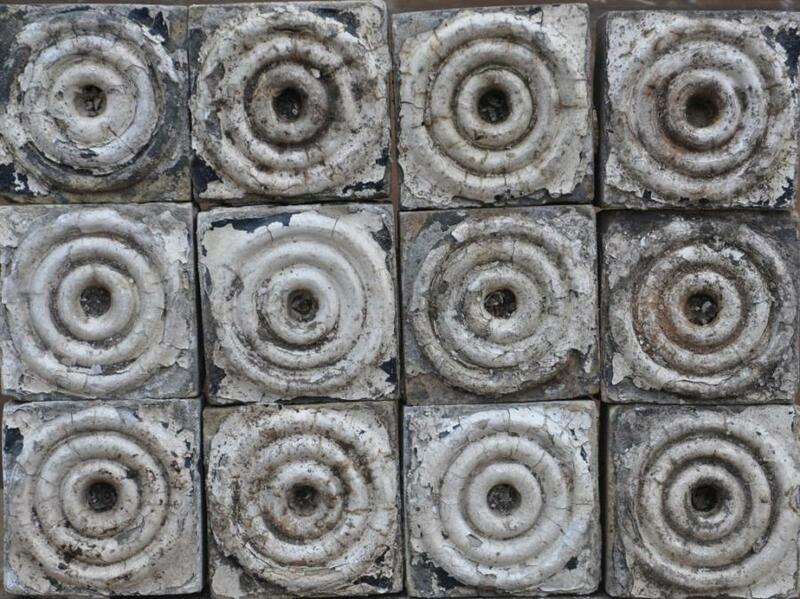 Dimensions in inches/cms or inches alone; 5.75/15 square x 2.75 deep (2and3/8 built in) QUANTITY; 14 of, 8 REMAINING Part of a collection of decorative terracotta i am now advertising. All reclaimed from English Victorian buildings over many years. For an overview and price list of all the collection please email me and i will send the word document. Also please see other adverts.